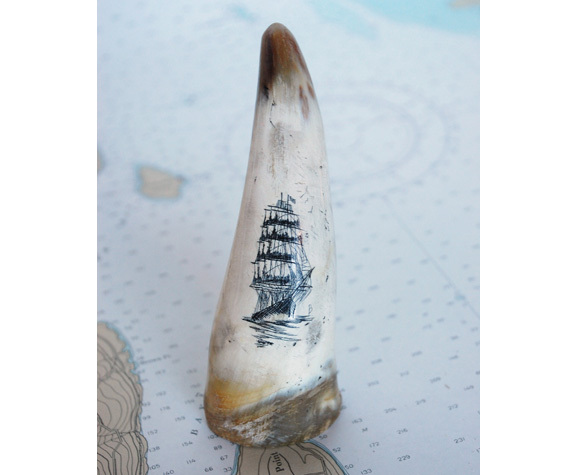 This antique, a one of a kind scrimshaw art that is scrimmed on some type of horn or antler to resemble a whale's tooth. The scene depicts a whaling ship under full sail. The scrim chandler "B" signed the piece. This original art is a good example of early sailor art. 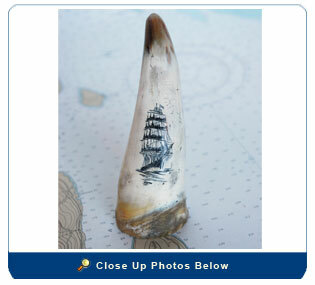 Size: the horn is about 6” high and 1 1/2 “ at the base.